With mobile technology revolutionizing the modern world and the demand among the public for mobility solutions increasing in an unprecedented manner, there is a growing need among business organizations to create their own mobile applications. In fact, mobile apps have become one of the primary requirements for running a modern business in the contemporary world. Naturally, a myriad mobile app development companies have come up in order to meet the heavy demand. The catch is in identifying the right developer who will enable you to accomplish your business objectives through attractive and useful mobile apps. The first step in hiring an app developer must be viewing the portfolio that helps assessing the potential of the developer. Professional developers with experience will maintain a comprehensive app portfolio that describes their capability to craft successful apps. It will also illustrate what types of apps they have created and which industries they have built them for. It is essential to partner with the company that is equipped with innovative and constantly-updating professionals. With newer technologies turning up rapidly and users’ needs and preferences scaling unprecedented levels, it is crucial to hire developers who are driven by a constant learning spirit and creativity. This ensures that your app stays in the forefront of advancement, taking your business to the intended levels. There are countless apps in the cyber space today. Only those that are built with ingenuity and enticing features will succeed in captivating users. It is essential that the company you choose has an efficient team of app developers who can provide the special functionalities and features that augur well with the modern users and their needs. A mobile app development service provider’s reliability and authenticity can be validated by running a diligent check on the company’s reputation and goodwill. Factors such as how long they have been in the field, their developers’ experience, and their clients’ ratings help you in getting proper insight about a company before you select one. Although outwardly appearing to be secondary, customer service and constant support are crucially required during the process of building an app as well as after its deployment. App development for mobile demands the best possible customer support not only in the initial stage but also throughout the life of the app. Long-standing, ethical firms are known to not refrain from providing assistance in maintenance and ongoing support whenever required. Business is meant for achieving profits and one way of reaching where you want, as a business owner, is to ensure providing the expected quality in your app under your own budget. It is necessary to go in for the company that is capable of balancing quality and costs, so that you may get the means and right opportunities for financial gain. Select the app maker who has effective communication practice and provides regular updates on the development process. Transparent two-way communication is vital throughout the app development cycle. Your app maker must have sufficient communication skills so that you will be able to convey your specific needs, enabling turning ideas into tangible reality. Each and every significant factor related to the app building process needs to be updated on a regular basis. This will make it mutually possible by you and the app developer to achieve not only timely completion but also success after deployment of the app. Not just expertise in the contemporary mobility solutions, the ability to get accustomed with newer technologies and to adapt to changes as well is mandatory. The world of mobile apps is evolving and will continue to do so. Keeping updated and educated with changes and challenges is vital for mobile app developers. Ensure that the developer you hire is having the best know how about present scenarios of mobile app development platforms and future trends as well. One of the threats to business is the app idea getting leaked. Business owners must clearly ensure that their app idea is completely secured by the developers by using the most reliable, strict security measures. The company being selected for app development must see that the app idea and concept are confidential until they reach app stores. Developing mobile apps calls for expertise; it is ridden with complexities. In order to succeed and sustain in today’s technology-driven business scenario, entrepreneurs need to keep pace with competition. Hiring a reliable and efficient app development service provider proves to be of paramount importance. Mobile apps have been constantly delivering unlimited business opportunities regardless of the industry. With numerous app development services pitching for business, it is imperative that entrepreneurs and business organizations follow the right strategies to be able to pick the right developers who fit their bill properly. Mobile apps are considered one of the nifty means of promoting business and reach out to wider target audience. There’s no two ways about the need for having your own business mobile app. For creating an app that builds your business success, you need to find just the right app developers. This in turn requires exercising caution and being diligent on the selection of your app maker. 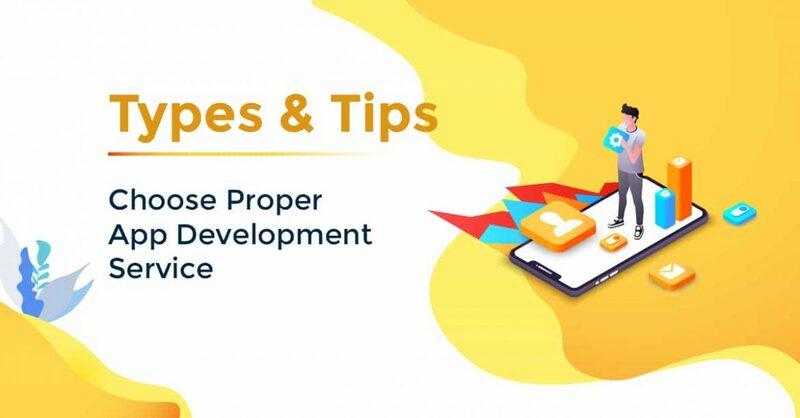 By following the above discussed strategies, business owners will be able to identify top mobile app developers who will ensure that their business mobile application development journey takes the right path.